When thinking of making any major purchase, there will always be certain points you should consider to reduce the chances of making a mistake. So, if the item you are considering is a hot tub, then what type of things do you need to think about to get the item that is best for you? Probably the most obvious one would be to think about how much space you have, then look at the different models available to fit. With popular brand Vita Spa, as an example, their hot tubs come in a number of ranges; the 100 series, 300 series, 500 series and 700 series. If space is a bit on the small side then that doesn’t necessarily mean you can’t fit one in, you’ll just have to accept that it will probably be located near a wall or fence and without a picturesque view. As long as there is a flat area available and access to a power supply then there shouldn’t really be a problem. 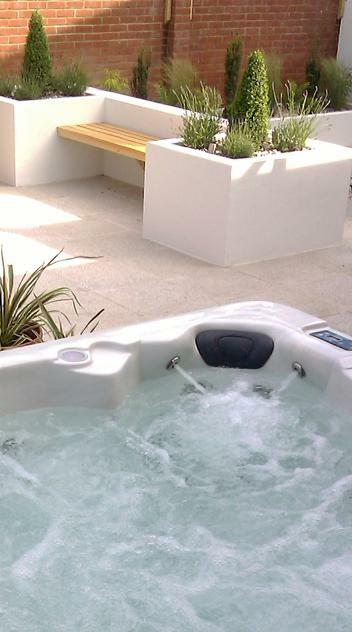 Of course cost is also a major factor when choosing the most suitable hot tub. You may think that by choosing the smallest model available you are getting the best deal, but when you consider that for just a few hundred pounds more you can get a far bigger tub that can seat more people, it’s certainly worth looking into. How big is your family? If you have a fairly large family who regularly visit, then is it really worth opting for the two seat model? By choosing a bigger model you are going to cut down on arguments about who is going to use it first and can turn these visits into a social event or gathering. The same applies if you have lots of friends. You are certainly going to be very popular amongst them. By taking time to consider your options you are much more likely to end up with a hot tub that you are completely happy with; one that will give you years of pleasure.